It is not a secret that Armenians tend to be cutthroat when it comes to doing business. It is also not a secret that Armenia is more-or-less an impoverished nation today, a country deprived of natural resources and with no direct access to the global market. When it comes to doing business, the cunning Armenian mind needs a vast and lush playing field to realize its great potential. 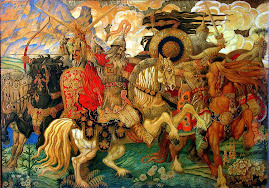 However, Armenia today is unable to sustain or satisfy the overly-ambitious Armenian. Armenia's businessmen today are like hungry sharks trapped in a small, poorly stocked pond. Our sharks are made to swim in shallow waters that cannot support their lifestyles. As a result, they either emigrate from the country or they turn on each other as they fight over the nation's meager economic assets. To remedy Armenia's fundamental economic problems, Armenia/Armenians need to gain access to the vast markets found in the north and the Far East. We have placed more than enough (wasted) emphasis on trade relations with the West. We need to place more emphasis on trade relations with Russia and China. 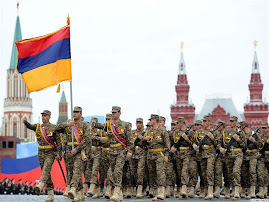 For various geostrategic factors Moscow has firmly entrenched itself within Armenia. 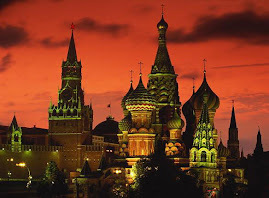 Instead of complaining about the Russian presence in Armenia (which is vital for Armenians on many levels), Armenians should be using the opportunity to reciprocate by establishing a firm economic foothold in Russia's vast market. It is well known that Armenian products have a better chance of being accepted/appreciated in Russia than in the West. Instead of fear-mongering about Russian businesses moving into Armenia, Armenians should be using the opportunity to penetrate deep into Russia's economic infrastructure. We Armenians boast about our legendary capabilities when it comes to doing business, yet we find ourselves doing nothing but complain when it comes to Moscow. 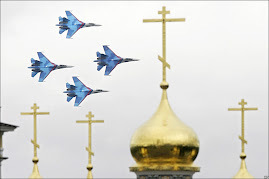 Why aren't we using our God given talents to extract the maximum benefit from our excellent relationship with Russia? The Russian Federation today is providing Armenia with an historic opportunity to finally break out of its thousand year old stagnation. We need to embark on a serious pan-national effort to fully exploit this opportunity. Armenia needs better integration into the Russian market. Armenia needs greater exposure to the Chinese market. Armenia needs a DIRECT access to the global market. I do not know if the Prime Minister's curious statement about a new global order were meant to simply please Beijing officials or if Yerevan has indeed begun to embarked on a long-term plan to move away from the current Anglo-American-Zionist global order by seeking closer relations with emerging Eastern powers. Basing my personal opinion on the peculiar evolution of political affairs in the Armenian republic during that past several years, the latter may certainly be the case. Nevertheless, there clearly are some good signs coming out of the domestic front in Armenia recently. Russian-Armenian business cooperation is continuing to expand and the Russian Federation remains the top destination for Armenian exports. As noted above, Yerevan seems to have begun making an organized effort in establishing trade relations with China. Moreover, Western operatives in Armenian politics have effectively been marginalized. And following the footsteps of the Kremlin, Yerevan has finally begun to clean-house and establish governmental order by cracking down on government level corruption and passing numerous new legislation. Series of dismissals, most notably that of Yerevan's mayor and the republic's agricultural minister, have shook the nation recently. But Armenians will be Armenians, and Armenians are naturally skeptical of all things Armenian. Instead of writing off these actions as nothing but a public show, what many of our sadomasochistic peasantry are doing, Armenia's so-called opposition, if they are truly concerned about Armenia's future, should be encouraging officials to continue with such reforms. I would like to stress that instead of spreading poison and acting destructive when it comes to Armenia's domestic problems, Armenians must somehow learn to become proactive WITHIN the current political system to bring about change. Armenians must also face the reality that disorderly conduct, indiscipline and lawlessness is deeply embedded in Armenian culture and psychology. Many of Armenia's numerous domestic problems stem from the attitudes and actions of the ordinary citizenry and not from its public officials per se. I reiterate, governments are an accurate reflection of the people and Armenia is no different in this regard. Armenians need to learn to disregard Washingtonian propaganda and finally accept the fact that Serj Sargsyan's administration has been significantly better than the previous two administrations Armenia has had. No matter how one looks at it, this, in my book, is what they call progress. I must again remind the reader that Rome was not built in a single day, so weren't the finest nations of the developed world today. Naturally, Armenia will also have to travel the long and bumpy road to modernity and progress. I remain hopeful that with time and lasting regional peace, it will get there. What Armenia does not need, however, is a clinically cynical, deeply pessimistic, self-serving, destructive and/or a hysterical "opposition" constantly seeking bad news, scandal, retribution or a bloody revolution. Armenia needs objective and rational citizens that are genuinely concerned about its future. 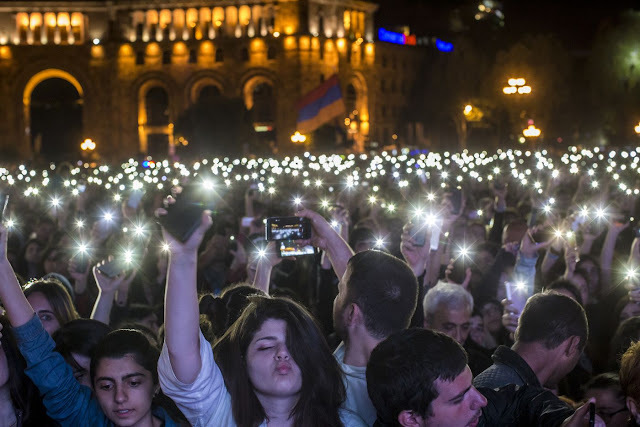 Instead of falling victim to treasonous agents and seasoned criminals seeking a color revolution (as in 2008), Armenia's citizenry should be seeking to rally around the state. Armenia's citizenry should be protesting, striking, even rioting if need be, WITHIN the current political system - not outside it or against it. When tens of thousands of Britons, French or Greeks take to the streets, what they are essentially doing is seeking an improvement in their living standards by engaging in political activism within their respective political system/infrastructure. Europeans and American do not ask foreign entities to c0me and meddle in their domestic affairs. Westerns do not seek politically motivated and/or foreign organized overthrows of their governments. When Armenians begin to understand the difference between sociopolitical activism within their national political infrastructure and foolishly doing the bidding of foreign intelligence agencies, they will finally manage to achieve positive change for Armenia. President Sargsyan's administration has in effect begun to put into place the foundations of various national institutions on which we the Armenian people have to build upon in time. President Sargsyan has also managed to successfully lay down the foundations of a secure nation-state in the Caucasus by institutionalizing Armenia's strategic alliance with the Russian Federation. Consequently, for the first time in perhaps a thousand years, Armenia has been placed back into the geopolitical game as a regional player. But we must take into consideration that the current president is not flawless nor is he more powerful than the 1990s era thugs that rose to power throughout Armenia. Simply put, the president can't do it alone - he needs popular support and constructive activism. Nevertheless, the gradual clampdown on rampant corruption and the transfer of power out of the hands of gluttonous hooligans and into the hands of professional technocrats has already begun in Armenia. Taking into consideration our people's Asiatic-egotistical-self-destructive attitudes, however, the modernization of the Armenian nation will be a slow and tedious process. Instead of enthusiastically participating in the self-destructive sadomasochistic practice of spreading poisonous information about Armenia throughout cyberspace, responsible and self-respecting Armenians should be seeking ways to become proactive within the political infrastructure of the republic. 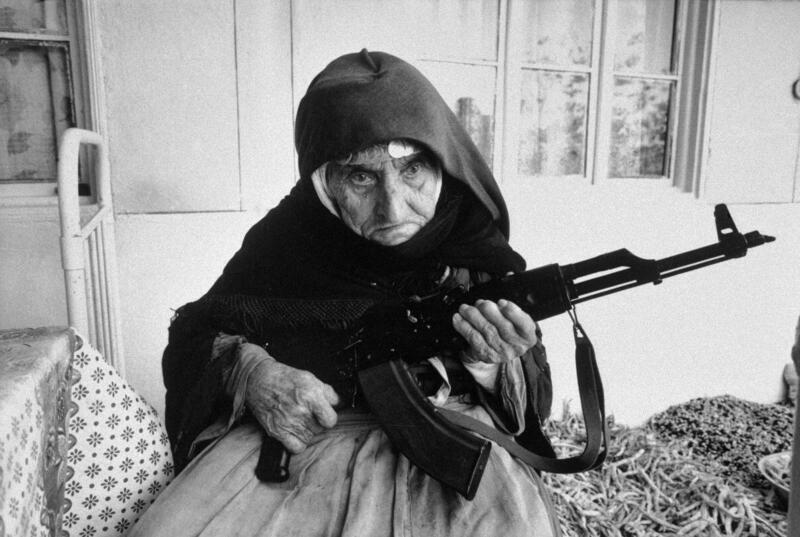 Armenians need to be patient and learn that nation building is not done by disseminating poisonous propaganda or seeking a bloody revolution. Even the finest developed nations of the modern world have had to travel along a path that was not very law-abiding, humanitarian or progressive. From North America to South America, from Scandinavia to the Iberian peninsula, from the British Isles to the Swiss Alps, the West's numerous vices - genocides, slavery, global war in the name of plunder and the ruthless exploitation of underdeveloped lands are essentially the reason why the West is immensely wealthy today. Thus, we don't need them to preach to us about how to run our nation. Incidentally, China and Russia are also traveling this bumpy path to modernization, but a much less bloody path than that of their Western counterparts', but one would never realize this by listening to the constant anti-Russian and anti-Chinese propaganda that is spewed by the controlled news press in the West. Since we Armenians have not descended from heaven. In other words, since we Armenians are mere mortals, let's all come to the sober realization that Armenia will have to travel the long hard path to development as well. Naturally, there will be a lot of growing pains along the way. Nonetheless, Armenia has been trying to feed off of the decaying carcass of the West for far too long. It's high time to look at the world anew. Armenia must seek its future in places like Russia and China. And I'm glad to report that is precisely where official Yerevan seems to be heading today. If Armenia's regional antagonists or our nation's self-destructive peasantry for that matter, don't end up ruining the forward progression of our fledgling republic in the Caucasus, Armenia will be a major hub for international trade within our life times. Sarkisian assured him that a favorable environment for Russian business is of “paramount significance” to Yerevan. He said in that context that the Armenian government plans to set up a “free economic zone” at a Russian-owned electronics plant in Yerevan. “We hope that this project will create a platform for Russian business in Armenia,” added Sarkisian. Sarkisian’s cabinet approved a package of relevant draft amendments to several Armenian laws at its weekly session on Thursday. 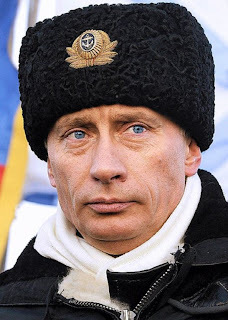 With few details of the Saint Petersburg talks made public by the Russian and Armenian governments, it is not clear whether Putin had any concerns about Russian economic presence in the South Caucasus state. The powerful Russian premier thanked President Serzh Sarkisian for creating “necessary conditions” for Russian firms doing business in Armenia when they met in Moscow as recently as on November 17. Both then and on Wednesday, Putin emphasized the fact that Russia allocated a $500 million anti-crisis loan to Armenia last year and remains the country’s leading foreign investor. “None of our companies left the Armenian economy [during the 2009 recession,]” he told Prime Minister Sarkisian. “All in all, I think there are thousands of companies with Russian capital functioning in the Armenian economy,” Putin stressed. The biggest of them, notably Gazprom and AFK Sistema, dominate Armenia’s energy and telecommunication sectors. In his opening exchange with Putin, Sarkisian made no mention of Gazprom’s plans to raise the price of Russian natural gas for Armenia further next year. A statement on the meeting issued by the Armenian government did not specify whether the issue was on the agenda. Energy and Natural Resources Minister Armen Movsisian said on Tuesday that the Armenian government still hopes to avert the price hike. Russia did not reject the idea to include Armenia in a single customs union. A single customs code has been functioning in the territory of Russia, Belarus and Kazakhstan since June 1, 2010 based on agreement signed in 2007. Works on creation of single customs zone are underway. Vice-President of trade-industrial chamber of Russia Georgiy Petrov spared no efforts to praise the newly created union at the Russian-Armenian business forum held in Yerevan. 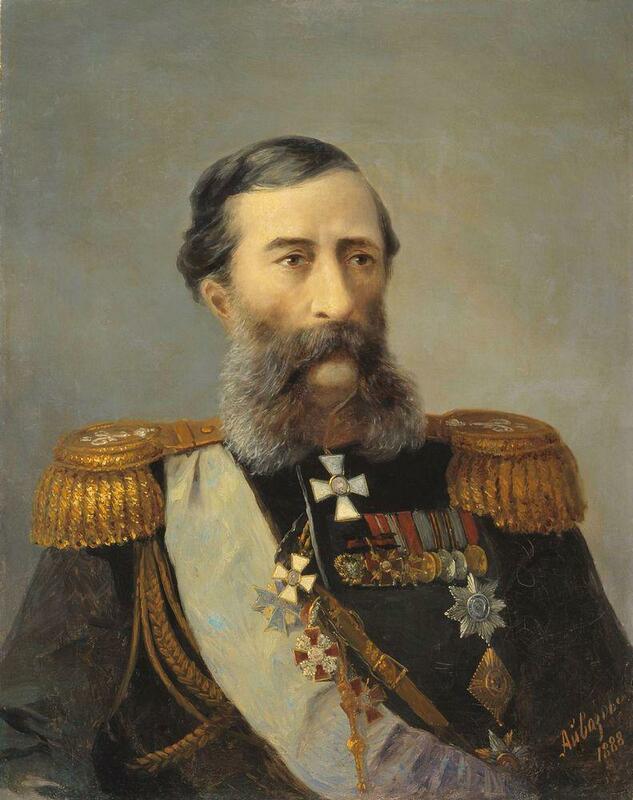 Despite Armenia received no direct invitation to join the union, Petrov implied Armenia’s joining the union will be advantageous for the country. “Customs union with single customs tariffs and single customs code is not directed against anyone. 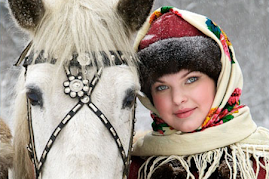 This customs code is more liberal than the previous one functioning in Russia,” he added. Russia will host a major business forum in 2011, to be attended by Russian and Armenian governors, Ambassador Extraordinary and Plenipotentiary of Russia to Armenia Vyacheslav Kovalenko stated at the Armenian-Russian business forum today adding that the forum will also host exhibition of Armenian goods. “These initiatives aim to intensify horizontal ties between the regions,” Kovalenko said. According to Deputy Chairman of the Russian Chamber of Commerce and Industry Georgy Petrov, trade relations between Russia and Armenia are strong and stable. He said that the economic crisis affected trade turnover between the two countries but they expect restoration of the former volume in 2013. 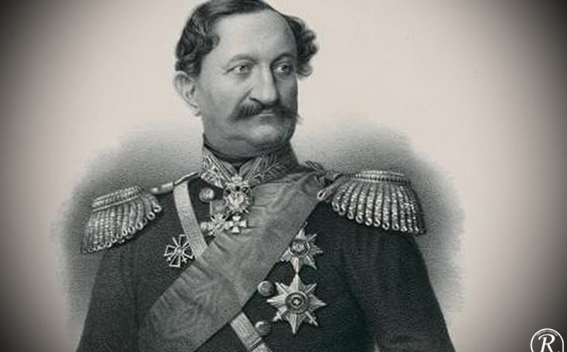 G. Petrov suggested changing trade structure to reduce dependence on external factors. Petrov stressed necessity of developing ties between Armenian and Russian regions. The first Russian-Armenian exhibition of industrial innovations will take place in March 2011 in Armenia in the frames of Russian-Armenian forum, said the Head of Representation Office of “Rossotrudnichestvo” (Russian Cooperation) Victor Krivopuskov during the seminar “Innovation policy and commercialization of the results of scientific activity”. “The exhibition of industrial innovations will allow to make drastic changes in mutual cooperation in 2011”, said Krivopuskov. Today more than 70 Russian companies make deliveries of goods and services in Armenia, of which about 30 work in the frames of agreement with Armenian regions and 20 – develop these relations by state support from Russia and Armenia. Companies working on innovation basis will participate in the exhibition which will play a great role in innovation development in Armenia, particularly in the sphere of small and medium-sized business development. Krivopuskov said that Russian-Armenian Center of Innovation Cooperation received already 50 applications, of which 15 is selected and nine have been already reviewed and submitted to the high management bodies for approval. “This mechanism will promote monitoring, development and advancement of innovation projects in Armenia up to the phase of commercialization”, he said. Foreign trade turnover of Armenia with Russia increased by 10.6% in January-October 2010 compared with 2009 making 793.3 million US dollars. Tigran Sarkisian: share of Russian businesses in Armenia’s market vary between 30% to 50%. In an interview with Russian RBK daily Armenian prime minister Tigran Sarkisian said according to various estimates the share of Russian businesses in Armenia’s market vary between 30% to 50%. According to him, this is due to several factors. 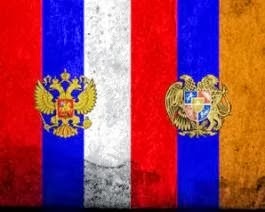 The first is the presence of a strong Armenian community in Russia. ‘We regard their investments in Armenian economy as Russian investments. The second factor are the Russian companies which bring their investments here (VTB, Rosgosstrakh and others). And the third factor are private money transfers from Russia to Armenia. Russia accounts for the largest of money transfers to Armenia,’ he said. According to the Armenian prime minister, some of investors arrive by themselves, while others are sought at various level contacts. “There are state-level relationships, such as handing Armenian nuclear power plant to Russia’s management. The same is true with regard to Armenia’s national gas operator RosGazProm in which 80% is held by Gazprom,’ Tigran Sarkisian said. He said on personal level Russian businessmen are invited to invest in Armenia, as was with Gazprombank, VTB and other financial organizations. The Armenian premiere also explained how investment-related decisions are passed. “First of all you look at a country, at how its solvency is rated by Fitch, S&P and Moody's. Then you look into its economy and the chances to make profits and then you make the decision,’ he said. In his words, it is important to look into the government’s projects and into its vision of economy in 5-10 years. “Private business sees all of this, it looks at the opportunities and ecides how to its money,’ he said. The first Sukhoi Superject 100 production aircraft, that has been named after Yuri Gagarin, will connect Moscow with the capital of Armenia – Yerevan, said a report posted on the website of Russia’s Roskosmos federal space agency. “The Sukhoi Superjet 100 which is the seventh produced and the first production aircraft, was bought by Armenia’s Armavia Airline. The customers named Superjet after first cosmonaut Yuri Gagarin,” the report said. “We have a tradition to give names to all planes,” the deputy director general of the airline, Aram Yegoyan, said. “We plan to begin operating Superjet early in February. Before that it must get all necessary certification documents, while our pilots must undergo training,” he added. 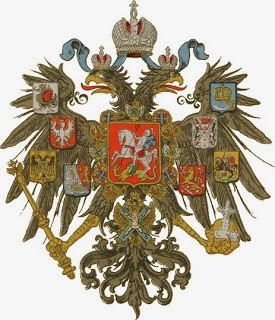 The strategic partnership and development of federal cooperation with Russia remained one of the most significant priorities of Armenia’s foreign policy. The sides took steps to strengthen bilateral ties and develop long-term programs, reads the annual report by Armenian Foreign Ministry. According to the report, the active political dialogue between the two states was underway in 2010. The Armenian and Russian leaders held a number of bilateral meetings in 2010. Besides, the Armenian President and Prime Minister met with Russian Premier. 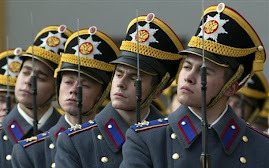 On August 19-20, Russian President Dmitry Medvedev paid his first state visit to Armenia. Within the framework of the visit, five significant documents were signed, particularly the agreement on construction of a new nuclear reactor and prolongation of Russian military base in Armenia. 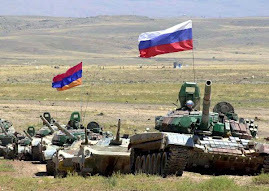 Besides defending Russia’s interests, the Russian military base in Armenia will also ensure Armenia’s security jointly with the Armenian armed forces. 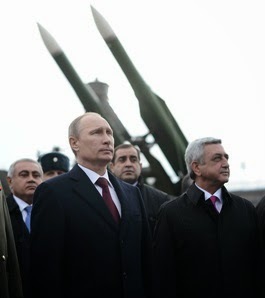 With this end in view, Russia is to assist Armenia in getting modern arms and military equipment. 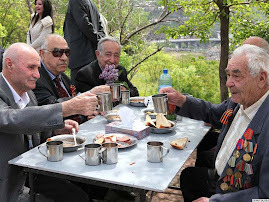 Sargsyan and Medvedev also participated in the opening ceremony of the Hill of Honor in Gyumri, commemorating the Russian warriors killed in the 19th century. 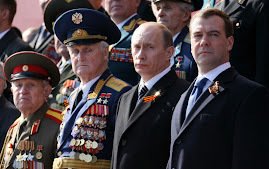 On May 8-9, 2010, Serzh Sargsyan arrived in Moscow to take part in the unofficial meeting of the Heads of the Collective Security Treaty Organization states and festive events dedicated to the 65th anniversary of the Great Patriotic War. On November 11, the meeting of Armenian-Russian inter-parliamentary cooperation committee was held in Yerevan. On October 23-24, Armenian Prime Minster Tigran Sargsyan attended the 12th meeting of Armenian-Russian Intergovernmental Commission in Yekaterinburg. 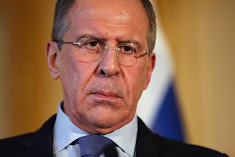 On January 13-14, Russian Foreign Minister Sergei Lavrov arrived in Armenia on an official visit. He met with Armenian President Serzh Sargsyan and Foreign Minister Edward Nalbandian. The Armenian and Russian FMs held over 20 meetings during last year. National Day of Armenia has been announced at the Shanghai ExPo – 2010 international exhibition. 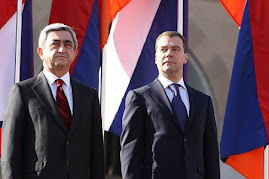 In his speech of welcome, RA Prime Minister Tigran Sargsyan said he was especially pleased to speak at the exhibition, as September 21 is not only Independence Day in Armenia, but also National Day of Armenia at the Shanghai ExPo – 2010 exhibition. The Armenian side’s slogan during the preparations for the exhibition was to make people reconsider the way passed by the Armenian people and look into the future together. “Our country wakes up every morning to see the biblical Ararat. The Ararat is first of all a symbol of revival. Now, after the global financial crisis, it is obvious for us the world cannot be the same as it was before. It must change. 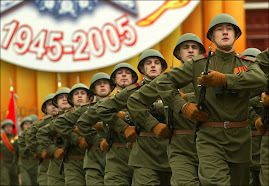 In different parts of the world people are seeking to form a new world order. Our principal slogan today must be our duty to create a new world together. That is the reason for our idea of New City, which will not only present our notions of a dialogue between civilizations, but also create opportunities for all the people to take part in the constriction,” Premier Sargsyan said. According to him, Shanghai ExPo – 2010 is an opportunity for cooperation and a civilized dialogue. The Armenian Premier invited everybody to take part in constructing a new city in the Ararat land. He expressed hope that the construction will open a new chapter in the human civilization’s history. The Armenian delegation also visited the Armenian and Chinese pavilions at the exhibition. Over 2m of more than 53m people that have visited the Shanghai ExPo – 2010 exhibition have taken interest in the Armenian pavilion. More than 20,000 people visited the Armenian pavilion daily. The steering committee gave a high mark to the Armenian pavilion and its computer version. Shanghai Mayor Han Zheng thanked the Armenian Premier for visiting the city and for Armenia’s participation in the exhibition. Premier Sargsyan stressed the importance of Shanghai’s urban development experience and invited Mr. Han Zheng to visit Armenia, get acquainted with Armenian construction and architectural traditions an exchange urban development experience. Armenia celebrated its National Pavilion Day on Tuesday at Shanghai Expo 2010 with the official unavailing of its pavilion titled, “City of the World.” Attended by Armenian Prime Minister Tigran Sargsyan, the event came on the 19th anniversary of Armenia’s independence from the Soviet Union and featured a special performance titled “Armenia: The Art of Creation.” According to official statistics from Shanghai Expo, more than 20,000 people visit the Armenian Pavilion daily. Of the more than 53 million people that have visited the Expo, more than 2 million have been to the Armenian pavilion. The Armenian delegation also visited the Armenian and Chinese pavilions at the exhibition. Over 2m of more than 53m people that have visited the Shanghai ExPo – 2010 exhibition have taken interest in the Armenian pavilion. More than 20,000 people visited the Armenian pavilion daily. The steering committee gave a high mark to the Armenian pavilion and its computer version. According to the Shanghai Expo 2010 website, the pavilion invited architects around the world to submit designs for their ideal city. Models are exhibited in the center of the pavilion. “Armenia calls itself the motherland of the apricot and the pavilion features an Apricot Garden. Visitors can taste various delicacies, while listening to music of a flute made from apricot wood. The ‘Gold and Silk’ exhibition covers China-Armenia trading history,” said the Shanghai Expo website. “Our country wakes up every morning to see the biblical Ararat. Ararat is first of all a symbol of revival. Now, after the global financial crisis, it is obvious for us the world cannot be the same as it was before. It must change. In different parts of the world people are seeking to form a new world order. Our principal slogan today must be our duty to create a new world together. That is the reason for our idea of New City, which will not only present our notions of a dialogue between civilizations, but also create opportunities for all the people to take part in the constriction,”Prime Minister Sargsyan said. According to him, Shanghai ExPo – 2010 is an opportunity “for cooperation and a civilized dialogue.” Sargsyan went so far as to extend a call to global developers to build a new city in “the land of Ararat” to “open a new chapter in the human civilization’s history.” While on his visit to Shanghai, Sargsyan met Monday with Chinese Vice Premier Li Keqiang for talks on expanding cooperation on agriculture, energy, mining, transportation and technology. Kegiang described the economies of China and Armenia as “highly complementary” with “great potential for further cooperation.” According to Kegiang, China has become Armenia’s second largest trading partner and a destination for Armenian exports. The Chinese official called for “more friendly exchanges in culture, education, and tourism”to “strengthen the friendship between the two people.” He also called for more friendly exchanges in culture, education and tourism between the two countries, in a bid to strengthen the friendship between the two people. Wednesday’s deal will see the London-listed group pay $24 million for a 35% equity interest in Bounty Resources Armenia Ltd, which owns mines with proven, probable and inferred reserves of 1,832 million tons. Fortune has the option to increase this holding to 50% for an additional $16 million investment. Bounty’s first mine, Hrazdan, contains high quality iron ore at 40% iron concentration and is expected to be profitable in 2014. The move follows a decision by Fortune last November to diversify its established gas production and oil processing operations. Under a new strategy it is planning to capitalize on the demand for energy and resources in China by investing in high growth commodities such as oil, gas, coal, iron ore, copper and other metals, in countries, which are close to China. Shares in Fortune rose by 9.5% to 11.5p Wednesday morning on news that it had acquired Bounty Resources. Fortune shares hovered between 6 points and 8 points for much of 2010 before jumping as high as 12.5 points in December. That was triggered by news of promising drilling results from its Liulin coalbed methane project in China and a restructuring of its natural gas business, which could free up funds for further investment totaling £24.2m. China is the world’s largest importer of iron ore, with imports accounting for 60% of China’s total iron ore consumption in 2010. Between 2000-2010, China’s iron ore imports increased from 69 million tons to 619 million tons. It is expected that the country’s iron ore imports will increase to approximately 712 million tons in 2011. 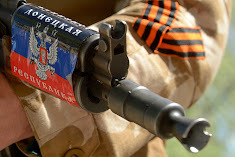 Nine military industrial companies will be created within the framework of military cooperation between Armenia and Russia, the part of which will involve large financial industrial holdings specializing in this field. It will significantly open up opportunities of the existing Armenian companies and will serve as a solid basis for further development in this direction, Arthur Baghdasaryan, Secretary of the Armenian National Security Council, said at today’s press conference. “This program is also socially useful as it will create new jobs in the country,” he added. Armenian government considers crackdown on corruption among its police’s key focuses between 2008 and 2012. The government says in its action program sent to National Assembly for approval that multiparty system formation is the main condition for effective struggle against corruption. The government also says in its program that it will work out a new anti-corruption strategy to protect human rights and fundamental values as well as to improve state and local governance institutions’ activity. According to the document, the government will inform the community about the course of its crackdown on corruption and involve civil society in the process. The government also intends to involve the community in state governance, make favorable environment for fair competition among economy entities and shadow economy reduction. The government attaches great importance to justice system reformation including new codes elaboration and approval. New courts will be built as part of the justice system reformation. The unit in charge of investigation is planned to be moved from Prosecutor Office to another Armenian National Statistical Service governing institution and provided with financial and technical means. Yerevan has a new mayor, a week after the Armenian capital's top official resigned following allegations he beat up a member of the president's staff, RFE/RL's Armenian Service reports. Karen Karapetian, 47, a top manager for a national gas-distribution company, received the overwhelming support of the ruling-party-dominated municipal assembly in today's vote. He succeeds Gagik Beglarian, who resigned on December 8 after he allegedly punched an aide to President Serzh Sarkisian in a fight over seating at a concert by singer Placido Domingo. Karapetian, who has led the Armenian-Russian joint venture ArmRosGazprom since 2001, was nominated for the top city post by the Republican Party of Armenia (HHK). In what was largely a rubberstamp vote by the Council of Elders, an elected body of representatives in Yerevan, Karapetian won the backing of 50 assembly members, with only one voting against. On the eve of the vote, the HHK leadership also approved several changes in the government at Sarkisian's suggestion. Those included the replacement of Economy Minister Nerses Yeritsian with Finance Minister Tigran Davtian and appointing Central Bank Deputy Governor Vache Gabrielian as the latter's successor. The HHK board also approved Sarkisian's nomination of prominent law expert Hrair Tovmasian as justice minister. The position had remained vacant since December 9, when the president fired Gevorg Danielian for what the government described as his failure to punish one of his high-ranking subordinates allegedly involved in violent conduct. The ministerial portfolios in question belong to the HHK under its power-sharing deal with two junior coalition partners. Talking to RFE/RL late on December 16, HHK spokesman Edward Sharmazanov said the changes were aimed at "raising the efficiency of the government's work." As rumored for weeks, today Armenia’s Minister of Agriculture Gerasim Alaverdyan was fired – the latest in an end-of-year sweep of ministerial replacements. The position of an agriculture minister belongs to coalition member Orinats Yerkir Party. Chairman of the party Arthur Baghdasaryan, Secretary of the National Security Council of Armenia, told reporters that the decision of recalling the minister was made at their Political Board meeting on Sunday. “At the session we discussed the decline registered in the sector [agriculture]. It is mainly determined by the financial-economic crises and the bad weather. However, we decided that it would be right to change the minister now,” Baghdasaryan says. Just last week, commenting on the speculations over his dismissal, Alaverdyan said, “I have presented my work at the government session today. We hear the news every day, too. 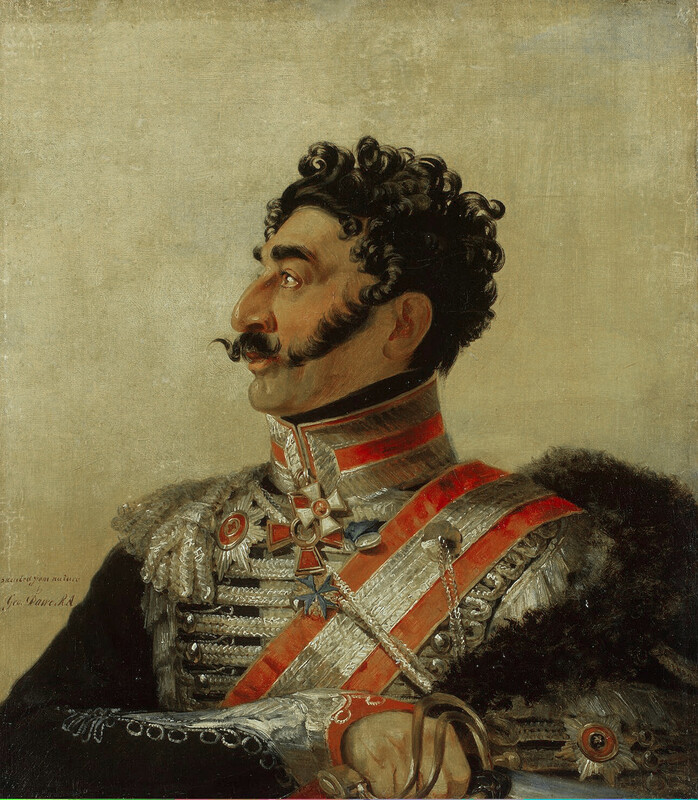 We will sum this up at our party (Orinats Yerkir), and my party and I will make this decision there. I am the soldier of my party.” Baghdasaryan said that the decision of recalling the minister is not a result of pressure, even though the issue had been discussed with President Serzh Sargsyan. “It [recalling the minister] was the decision of our political team, but because the president of Armenia is currently the head of the general politics, therefore, I have discussed that decision with the president,” Baghdasaryan says, adding that the name of the new candidate for minister will be announced in early January, as the new working year begins. Since the beginning of the agricultural season Alaverdyan has criticized for the 14 percent decline in production this year (unfavorable weather notwithstanding). A 33-year-old legal assistant to President Serzh Sarkisian was appointed as Armenia’s new chief military prosecutor and introduced to his subordinates on Thursday. The official, Gevorg Kostanian, had served as deputy minister of justice before joining the presidential staff in 2008. 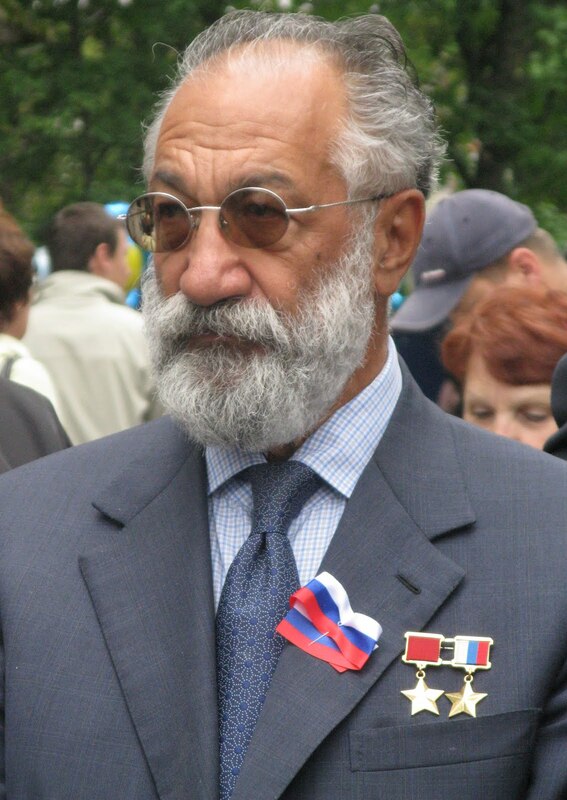 He has also represented the Armenian government at the European Court of Human Rights in Strasbourg since 2004.According to his official biography released by Sarkisian’s press service, Kostanian began his career at the age of 18 when he was employed by the Justice Ministry as a “first-class counsellor.” He was a first-year university student at the time. Prosecutor-General Aghvan Hovsepian praised Kostanian’s “extensive work experience in the legal-judicial sphere” as he presented the new military prosecutor to his staff. Hovsepian said he expects to Kostanian to carry out “reforms” in the Military Prosecutor’s Office and step up its oversight of criminal investigations into crimes committed by military personnel. Such investigations are conducted by the Investigative Service of the Armenian Defense Ministry. 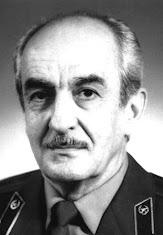 It was not immediately clear if Kostanian’s appointment was connected with a recent spate of non-combat deaths and other violent incidents within the Armenian army ranks. Defense Minister Seyran Ohanian has repeatedly pledged a tougher crackdown on army crime. 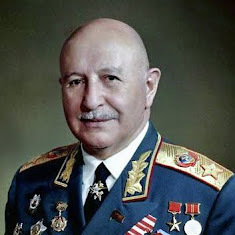 Hovsepian claimed that military prosecutors’ peformance “improved considerably” under Kostanian’s predecessor, Armen Khachaturian. 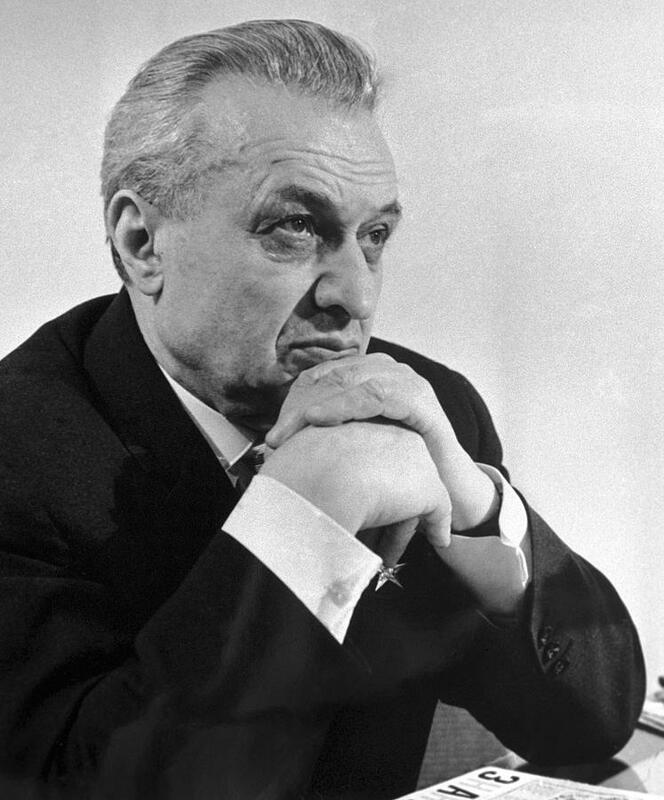 Sarkisian’s office gave no reasons for Khachaturian’s dismissal. Armenian President Serzh Sarkisian on Tuesday urged the Armenian media not to spread false and slanderous reports and insisted that his government is open to “fair” criticism of its policies. “Falsifications, provocations, insults and labeling hamper the possibilities for dialogue, jeopardizing the very possibility of having it. For that reason, I once again urge you in the execution of your professional duties to be fair and comprehensive,” he said at a New Year reception organized for representatives of media outlets mostly loyal to the Armenian government. 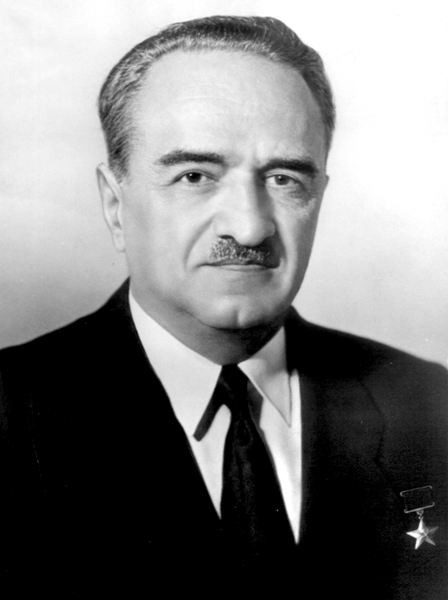 The remarks seemed primarily addressed to newspapers highly critical of Sarkisian and staunchly supporting his most bitter political opponent, the Armenian National Congress of Levon Ter-Petrosian. Their editors and journalists were not invited to the reception held in the presidential palace. Without naming anyone, Sarkisian said that “many” news organizations “honorably fulfill their mission.” “I wish that next year, it will not take you, the journalists too much courage to raise an important public issue,” he said. Sarkisian claimed that his administration is interested in seeing the media expose “any shortcomings existing in the state structures and in our society.” “We need your honest and unbiased approach so that Armenian society, the entire state structure, different bodies and individuals see in the mirror of mass media their own genuine picture,” he said. “It is crucial that the mirror is not fuzzy and the picture is not distorted,” cautioned the president. The assurances contrasted with the Armenian leadership’s obvious reluctance to ease its de facto control over the political news coverage of the broadcast media, Armenians’ main source of information. Earlier this month, state regulators again refused to grant a new broadcasting license to A1+, Armenia’s leading independent TV station that was controversially taken off the air in 2002. The refusal drew strong criticism from Armenian media associations and Western watchdogs like Human Rights Watch. Giorgi Gogia, a regional representative of the New York-based group, described it as “another setback for freedom of expression and information in Armenia.” “It’s clear that keeping a critic off the air is more important to this government than its international legal obligations,” he said in a December 16 statement. The government-controlled National Commission on Television and Radio (HRAH) also decided last Thursday not to grant a new broadcasting frequency to a smaller independent broadcaster based in Armenia’s second-largest city of Gyumri. The decision means that the GALA TV channel, the country’s sole broadcaster regularly airing reports critical of the president, will go off the air in 2015. The HRAH decisions on A1+ and GALA were part of Armenia’s ongoing transition to mandatory digital broadcasting. The process is regulated by highly controversial amendments to an Armenian law on television and radio that was enacted by the authorities this summer amid serious concerns expressed by Western governments and rights organizations, including HRW. U.S. Secretary of State Hillary Clinton added her voice to those concerns when she visited Yerevan in July. Sarkisian assured her that his government is ready to address them by making further changes in the law. Armenian officials have made clear, however, that those changes, if passed by parliament, will not be applicable to the ongoing distribution of new digital licenses valid for ten years.